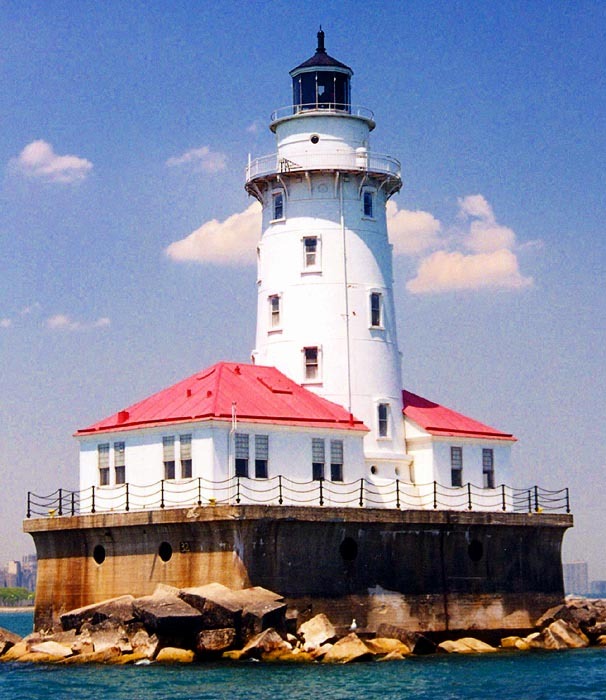 July 19, 1984 –The Chicago Harbor Lighthouse is named to the National Register of Historic Places. The lighthouse originally came about as a part of a number of harbor improvements that the city undertook to prepare itself for the 27.5 million people that would attend the 1893 World’s Columbian Exposition. Standing at the mouth of the Chicago River, the lighthouse replaced one that had stood at the end of the North Pier when it was completed in 1859, but with the addition of nearly a quarter mile of new pier, stood 1,200 feet from the outer limit of the pier. Work had begun in the 1870’s on a mile-long breakwater to protect the harbor, and on September 1, 1893 the new lighthouse was completed 100 feet inside the southeast end of the breakwater. There it stood until 1917 when the breakwater was extended southward, and the United States Congress appropriated $88,000 to move the lighthouse onto the renovated breakwater off the harbor. Two structures were added as a part of the move – a 28-foot square fog signal building and a boathouse. The lighthouse was fully automated in 1979. 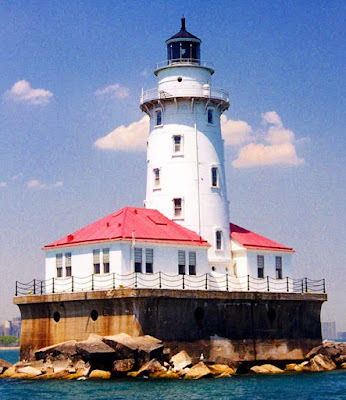 In 2005 the Coast Guard determined that the Chicago Harbor Lighthouse was excess and on February 24, 2009 it was transferred to the city. The lighthouse is such a part of the city that there is a reference to it in a relief sculpture at City Hall where “The Spirit of the Waters” features the lighthouse in the background. 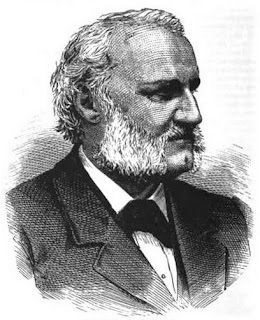 July 19, 1859 – The laying of the cornerstone of the new building for the Board of Trade takes place on the lot adjoining the Wells Street Bridge on South Water Street. According to the Chicago Press and Tribune, “The accommodations the Board are to enjoy will be of the most complete and desirable character, giving them the entire second floor, in a noble hall of 95 feet by 50 feet – its area unbroken by pillar or column. From this, at either end, open off such ante rooms as the convenience of officers or members require.” [Chicago Press and Tribune, July 10, 1859] During the ceremony the President of the Board of Trade, Julian S. Rumsey, places a sealed box in the cornerstone, the box containing the First Annual Report of the Board, copies of daily papers, a list of officers and members, the previous day’s telegraphic dispatches, coins in circulation at the time, and a broker’s ticket for 15,000 bushels of corn. It is anticipated that the new headquarters for the Board of Trade will be completed by the fall. President Rumsey is pictured above. 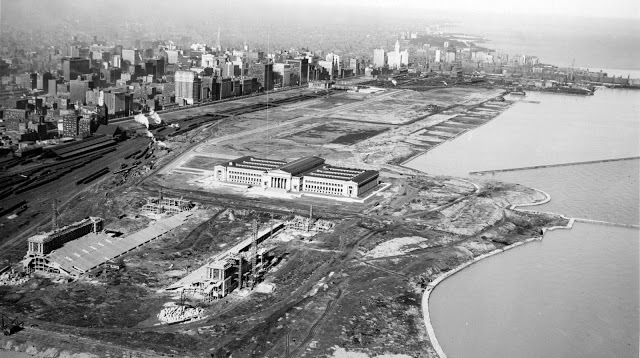 July 19, 1922 – Steam shovels begin excavation work in Grant Park, the first step in the construction of the new stadium south of the Field Museum. The stadium, designed by Holabird and Roche in a neoclassical style, is the result of an architectural competition to build a stadium as a memorial to American soldiers who lost their lives in service to the country. The stadium will be completed in three stages between 1922 and 1939, with its final capacity holding over 100,000 people.